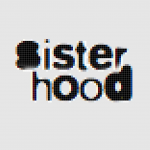 Asma Jahangir 1952-2018 - sister-hood magazine. A Fuuse production by Deeyah Khan. Asma Jahangir was a senior lawyer and human rights activist known for her courage, sharp wit and dedication to challenging prejudice and injustice in Pakistan. She was born into a wealthy family in Lahore and studied at the Convent of Jesus and Mary. Her first act of political activism was to organise a protest in her church-run school, and was successful in demanding a more democratic process in selecting a head girl. She subsequently did her first degree in Kinnaird College, Lahore. She participated in her first public demonstration at a women’s march in 1969, which ended in clashes with the police. In 1972, at just 18 years old, Asma filed a petition to the Supreme Court for the release of her father. Her father, Malik Ghulam Jilani, who was a civil servant, was frequently jailed for his opposition to military rule. In 1978, she attained a law degree from Punjab University, despite being unable to attend any classes. The college forbade the attendance of married women. Asma had married Tahir Jahangir, her next-door neighbour. Instead, Asma studied the notes of a fellow classmate and achieved a ‘first division’ on her law exam. After the birth of her second child, Asma began to suffer from bouts of depression, becoming frustrated with the limitations of the role of wife and mother. She established Pakistan’s first all-female law firm in 1980, which included her equally well-known sister, Hina Jilani. The firm had been established at a particularly challenging time for women’s rights in Pakistan: the Hudood Ordinance had recently been enacted in Pakistan, establishing sharia punishments based on the concept of zina (sexual offences, including adultery). Asma was a founding member of the Women’s Action Forum (WAF) which was established to oppose these moves. Their first demonstration was spurred by the case of Safia Bibi, a young, blind woman, who had been raped by her employers and faced a penalty of flogging on charges of zina. Asma represented Safia Bibi and the verdict was over-ruled on appeal. WAF also organised a demonstration in Lahore, which was attended by Asma and her sister as members of the Punjab Women Lawyers Forum where they were beaten, tear-gassed and arrested. From her legal offices, Asma started working in family law, supporting women in cases of divorce and child custody. In 1986, she and her sister established the first free legal aid centre in Pakistan, which also runs a shelter for victims of domestic violence. Samia Sarwar was accommodated at this shelter after seeking a divorce from an abusive husband. Samia was shot dead in Asma’s legal offices, in an ‘honour’ killing which ignited a ferocious debate about violence against women and ‘honour’ crimes in Pakistan. Asma extended her legal work to deal with cases of blasphemy and bonded labour – a form of debt slavery. 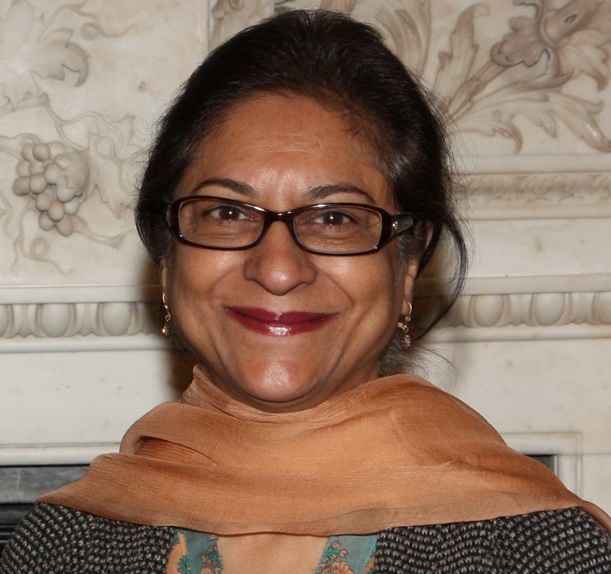 Despite attaining international prominence for her human rights work, Asma was often criticised by supporters of the Pakistani military, as well as religious conservatives. She was often subjected to unsubstantiated attacks upon her integrity by her political opponents. In 1983, she was placed under house arrest, then put on trial by a military court some months later. The Majlis-e-Shoora (Parliament) accused her of blasphemy, which they claimed had occurred during a private conversation. A tape of the conversation was provided and no evidence of blasphemy was found. At one point, assailants mistakenly invaded her mother’s house, which was next door to her own house, and held her relatives at gunpoint. In 2007, she was placed under house arrest for 90 days by Pervez Musharref for her part in the ‘lawyers movement’ which played a role in ending his dictatorship. In 2012, she claimed that there was a plot to assassinate her, yet she refused to leave Pakistan. She remained deeply attached to her country throughout her life, and was committed to developing Pakistani civil society. In 1986, Asma held a seminar on human rights in order explore the idea of creating a human right organisation in Pakistan. This resulted in the foundation of the Human Rights Commission of Pakistan. She was also a trustee of the International Crisis Group. In 2014 she received France’s highest civilian award and Sweden’s Right Livelihood Award. She was the longest serving Special Rapporteur on human rights in the United Nations, and the first female leader of Pakistan’s Supreme Court. Asma Jahangir died suddenly in 2018 aged 66. She was described by Malala Yousafzai as the ‘saviour of democracy and human rights’. She leaves a country that she has transformed both through her own work in championing secular human rights, and the civil society organisations she established. ‘There was a time that human rights was not even an issue in this country. Then prisoners’ rights became an issue,’ she said in an interview in 2014. ‘Women’s rights was thought of as a Western concept. Now people do talk about women’s rights ̶ political parties talk about it, even religious parties talk about it.’ Her legacy will continue to inspire everyone fighting for human rights and democracy in Pakistan and beyond.